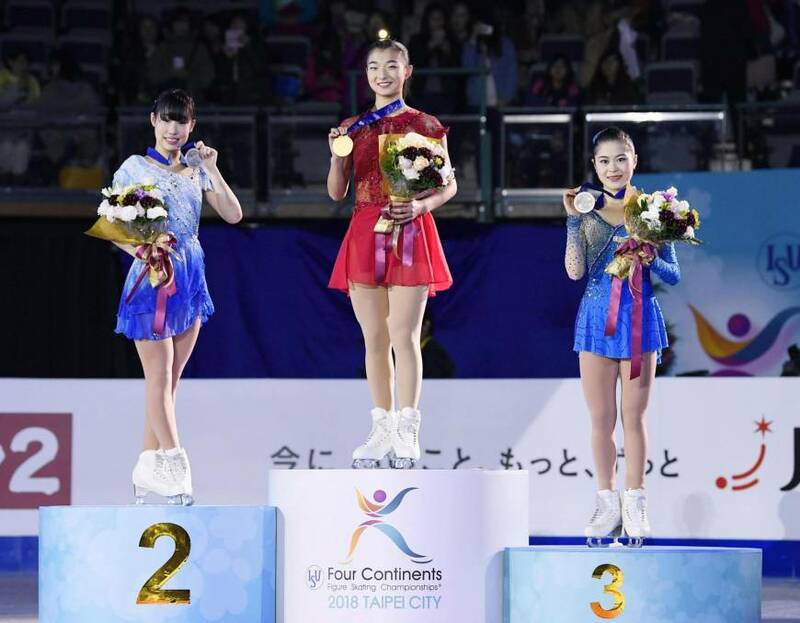 TAIPEI - Kaori Sakamoto came from behind to capture the women’s gold medal on Friday and lead a Japanese sweep in the Four Continents Championships. 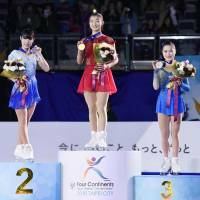 Despite the 1-2-3 finish, it was a day of both promise and disappointment for Japan’s women figure skaters two weeks ahead of the Pyeongchang Olympics, where Sakamoto and Satoko Miyahara, who started the day in first place only to finish third, will compete. Starting the day in second place, Sakamoto won the free skate with 142.87 points to finish with a 214.21 total. Mai Mihara was second in the free program and overall with 210.57, while Miyahara finished with 207.02. 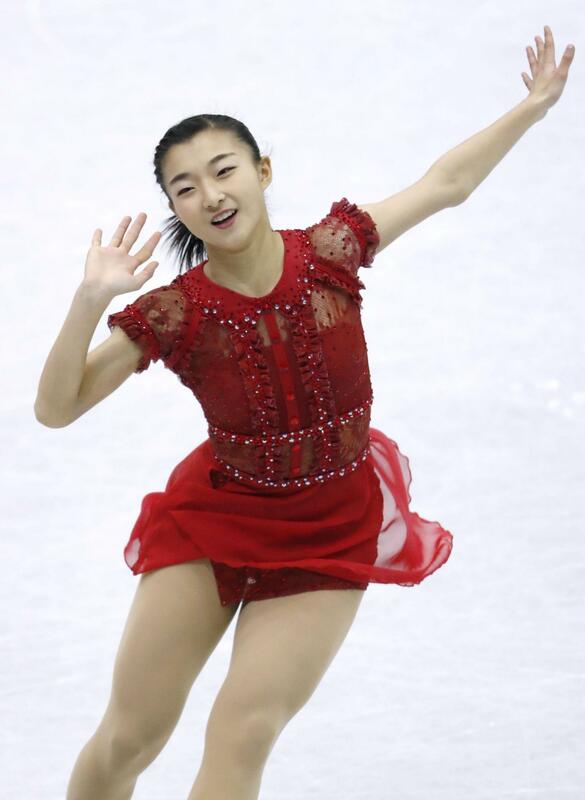 “Last March here in the junior worlds, I skated perfect short and free programs. It’s a good venue for me, and I came in with that in mind,” Sakamoto said. 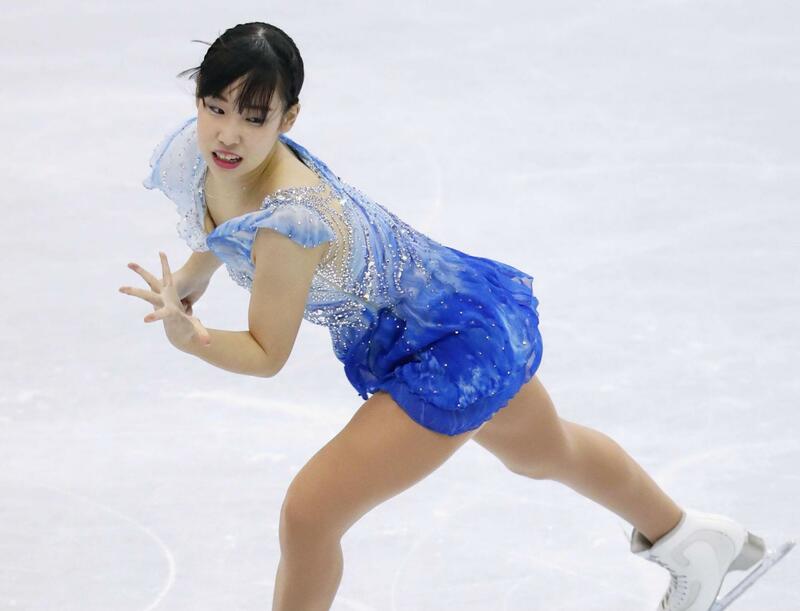 Mihara, who did not earn one of Japan’s two women’s berths to Pyeongchang, was buoyant with her results. Miyahara said she’d come to Taipei in a funk and hadn’t shaken it. “Since I came here, I’ve lacked confidence and that was the biggest cause of my mistakes,” she said. Meanwhile, North Korea’s pairs skaters Ryom Tae Ok and Kim Ju Sik earned the bronze ahead of their highly anticipated Olympic appearance. 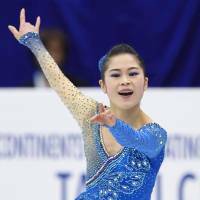 Interest in the pair has skyrocketed since North Korea made a surprise announcement earlier this month that it would send a team to the Winter Olympics. The bronze in Taipei is the duo’s first medal in an international competition. Kim, 25, spoke to reporters Friday for the first time since the tournament started, praising the backing the North Korean government has given them. “Our government is very supportive so we can pay full attention to our skating,” he told a news conference through a translator. He voiced sympathy for rival South Korean pair Kim Kyu-eun and Alex Kam who had to withdraw from the Taipei competition after Kam was injured. “I think it’s really a shame, so because of this I told myself I have to be extra careful not to get injured,” he said. Ryom, 18, said it was “regretful” that the pair had not done better in their first performance Wednesday, which had left them in fourth place. 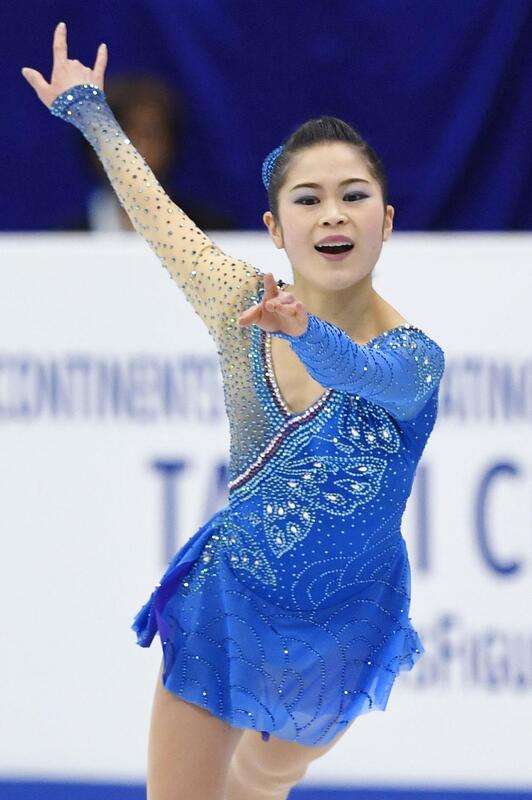 “Even though we’re going to the Olympics, doing our best at each competition is the most important,” she added. Ryom and Kim took the podium alongside two U.S. pairs, Tarah Kayne and Danny O’Shea — who won gold — and Ashley Cain and Timothy Leduc, in second place. 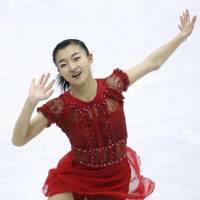 The North Koreans’ free skating performance Friday to “Je ne suis qu’une chanson” sung by Canadian singer Ginette Reno pushed them up to bronze with a score of 184.98 points overall, a personal record. They were helped by a disappointing performance Friday from Australian pair Ekaterina Alexandrovskaya and Harley Windsor, who had been in second place and will also be heading to the Olympics next month. For U.S. pair Kayne and O’Shea, winning gold at the Four Continents was a big personal achievement following injuries. “I spent many months off the ice where Danny was training by himself,” said Kayne. “There were a lot of questions hanging over our head whether we would be able to compete this season,” she told reporters.